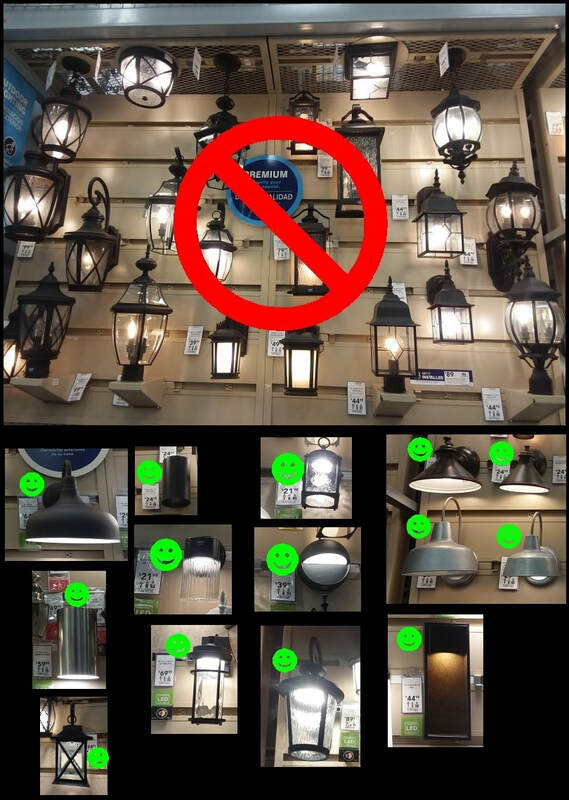 Do not over-light an area. This saves money and energy. Reflected light can also contribute to light pollution, so it is important to use only enough light to do what is actually needed. Use lighting which is "warm" or "soft-white." This light is not as harsh and is scattered less than “cool” blue-white light, and protects our health - and the night sky - much better. Shut off light when not needed. Turn off lights when not in use, and incorporate timers or motion sensors which improve security and also save money and energy. Adapted from the Utah Dark Sky Planning Guide - click image to open. 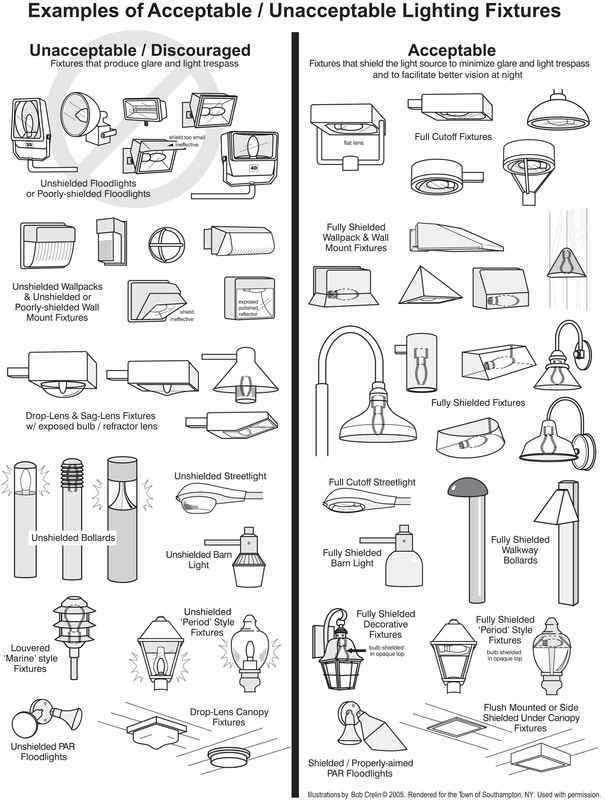 ​Examples of poor versus excellent lighting fixtures for higher efficiency and protecting the night sky, eliminating glare, and helping to prevent light from trespassing onto your neighbor's property. 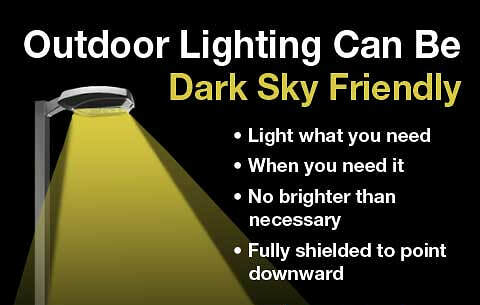 Many ​dark sky friendly fixtures will have an​ IDA Seal of Approval. ​Click the picture below for each organization for more more detailed information on dark skies & light pollution. ​Education about light pollution and the importance of a dark nighttime environment is an essential key to raise public awareness. This educational brochure is available to groups and organizations promoting dark skies, for a minimal cost to cover postage and handling directly from Dark Sky Defenders - contact us for details, a sample, or to schedule a presentation on dark skies and light pollution. A hi-resolution version of the Good Neighbor Lighting brochure is available here.